How about Baltimore, or Oakland, or Washington DC, or Detroit. Thanks for putting words in my mouth but what you stated is the anithesis of what I am saying . I do care about all of the shootings which is why I brought up Chicago. The anti gun left are the ones that want to ignore the murders in inner cities. Think of this as an opportunity. Now you can buy a dozen bump stocks for your various models of popular rifles out there before they are banned for certain! The civilian world could use more bump stocks. Plus, you could make a nice ROI if they are banned as people would pay you a hefty premium for them. So go out and buy scores of bump stocks today in preparation for 2024 when the Dems have gun confiscation paperwork on the table ready to sign on day 1! To someone as terrified as you...perhaps. But in the real world, life is a series of risk management decisions. The chances of you being slaughtered in a mas shooting is very likely less than you getting electrocuted in your own home. Just for fun, I looked up the stats on home electrocution. Better move out and away from that deadly electricity!!!! It sits there, waiting for you in your walls!!! 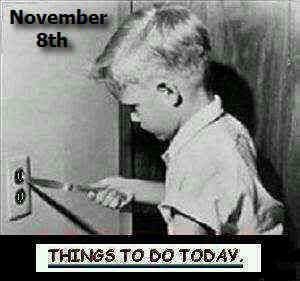 That evil murderous electricity stuff should be banned! If you disagree, you support murdering innocent children that risk getting injured or even FRIED while simply living in their own home! You never needed a bump fire stock to bumpfire. For more videos search youtube for "bump fire without stock". We do not need bump stocks, we do not need fully automatic weapons. They shoot like crap anyway, the automatic function pulls the gun up when you shoot. not that I ever shot one before. I never had sexual relations with that gun. "Can you define the word, 'bump'?"